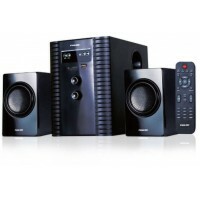 Sony DVD home theater system comes with a subwoofer that delivers crisp and detailed sound. 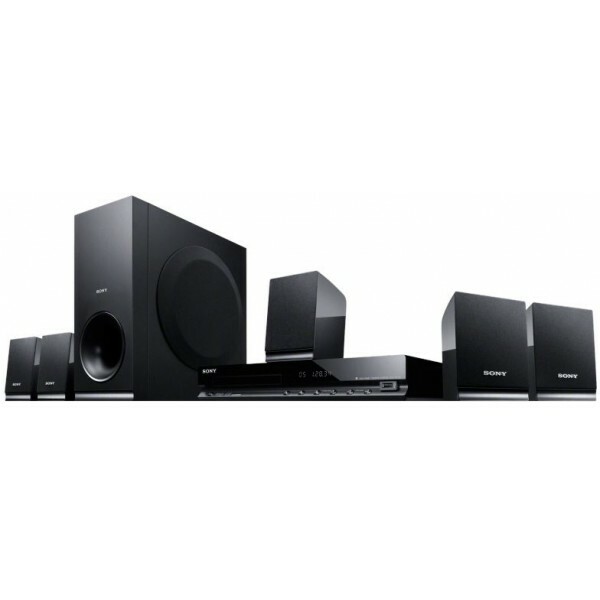 This Sony home theater system is compact and elegant.Are you a music lover? Do you enjoy your music with crystal clear sound and thumping bass? 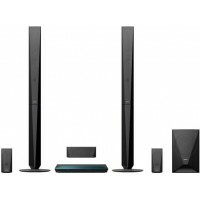 Get the Sony DAV TZ140 DVD Home Theater System that delivers a mesmerizing sound quality and meets your every expectation. This 5.1 channel system comes with micro satellite speakers and a compact subwoofer. With the HDMI upscaling, the DVDs look and sound better as the system enhances the picture and audio quality, taking it closer to High Definition. It allows you to play DVDs and CDs so that you can enjoy your old classic collection in a better quality. Enjoy true to life audio impact across your room with the Dolby Digital and Dolby Pro Logic support. Play a wide variety of MP3 files, movies, and clips directly from a memory stick or hard drive, thanks to a USB port that offers quick and easy connectivity. This home theater system from Sony looks compact and chic so that you can place it in your living room and bring elegance to your interiors. The simple to mount, wall hanging speakers system takes minimal space and installation time and looks stunning. This Sony 5.1 channel home theater system features a cutting edge sound technology that lets you experience theater like sound at the comfort of your home. The HDMI upscaling enables you to watch visuals in HD quality no matter the source. Also, it has a USB port that allows you to connect it to external devices and play the music files stored on them. 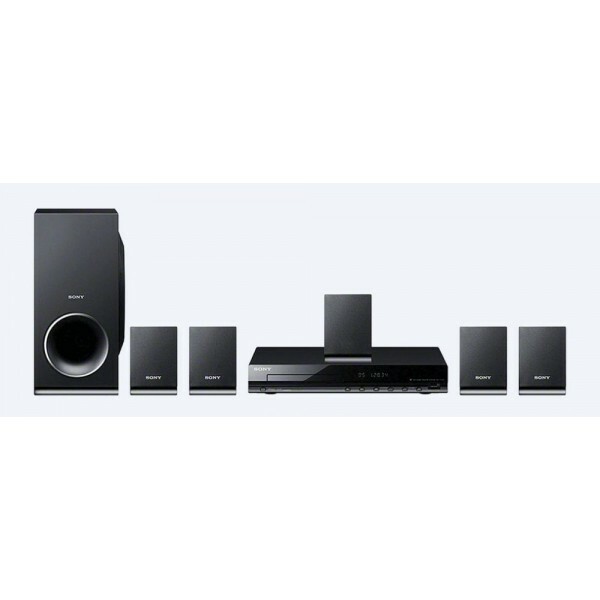 This Sony home theater system features Dolby Digital technology that enhances the overall sound quality. The Dolby Pro Logic technology produces powerful audio that is equally mesmerizing. 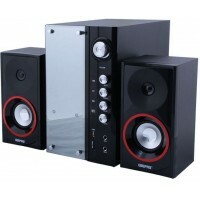 The compact speakers are portable and can be easily mounted on the wall and will look sophisticated in any living room.